Andy and Terry live in the WORLD'S BEST treehouse! It's got a giant catapult, a secret underground laboratory, a tank of man-eating sharks and a marshmallow machine that follows you around and shoots marshmallows into your mouth whenever you're hungry! Just watch out for the sea monkeys, and the monkeys pretending to be sea monkeys, and the giant mutant mermaid sea monster . . . Oh, and, whatever you do, don't get trapped in a burp-gas-filled bubble . . . ! 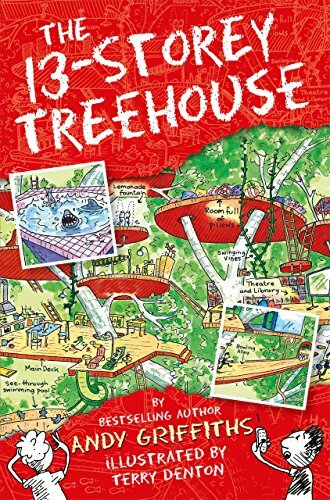 The story follows Andy and Terry's crazy adventures in their treehouse as they try to write a book, and is told through a combination of text and fantastic cartoon-style illustrations.